Lingerie should make you feel confident and empowered, and I.D. Sarrieri's thong rises to the occasion - especially when worn with the [matching bra id11220497. 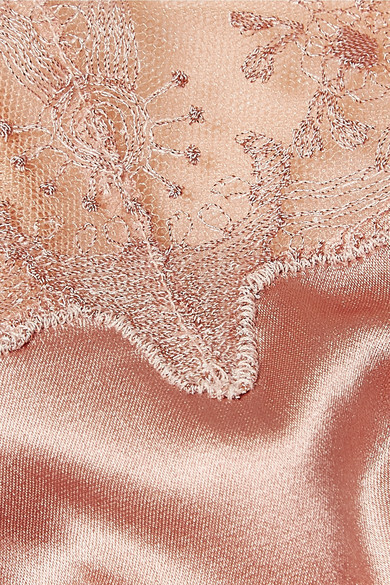 This pair is cut from blush satin and double-faced tulle which is delicately embroidered with shimmering threads. The seamless construction will ensure they're undetectable beneath your clothes.